24" Deluxe Solid Cubby Kit includes 6 shelves and two side panels. 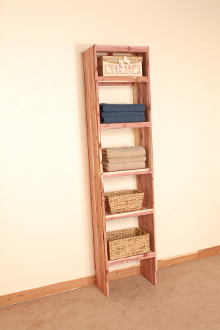 The 24" Deluxe Solid Cubby Kit is part of our eastern red cedar closet system. Each cubby kit includes 6 shelves, 2 side panels and the required hardware. The solid cedar shelves are 12" deep.